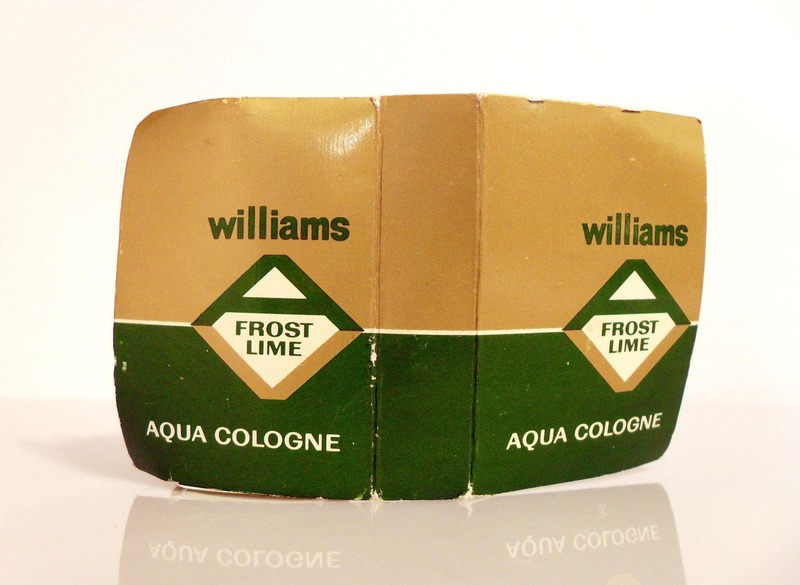 Vintage 1960s Aqua Frost Lime by Williams Mini Miniature Cologne Splash Bottle on Promotional Card. 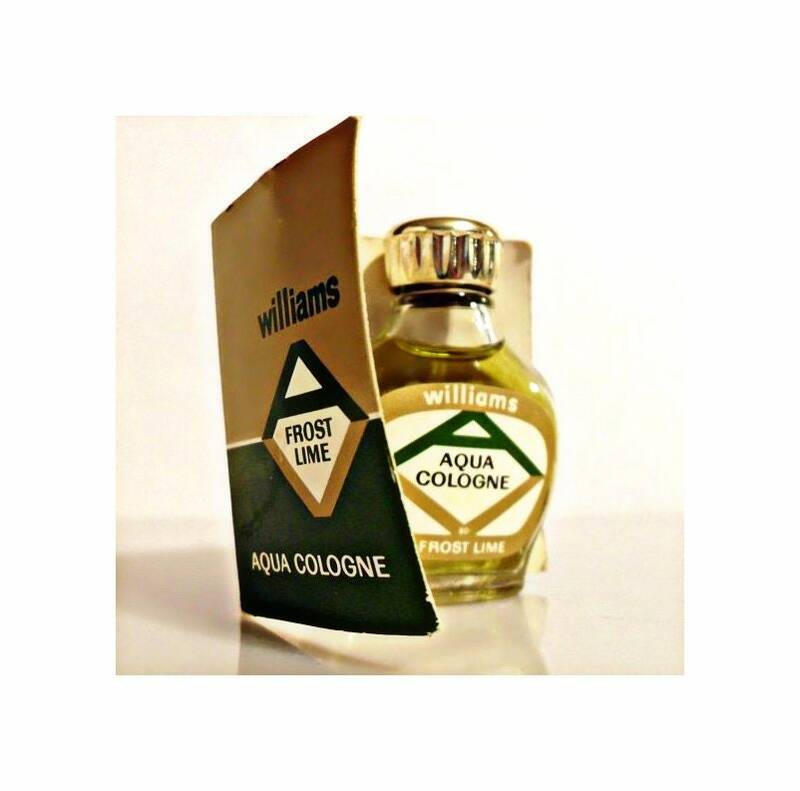 This is not the "Velva" after shave, itis the full strength cologne splash. 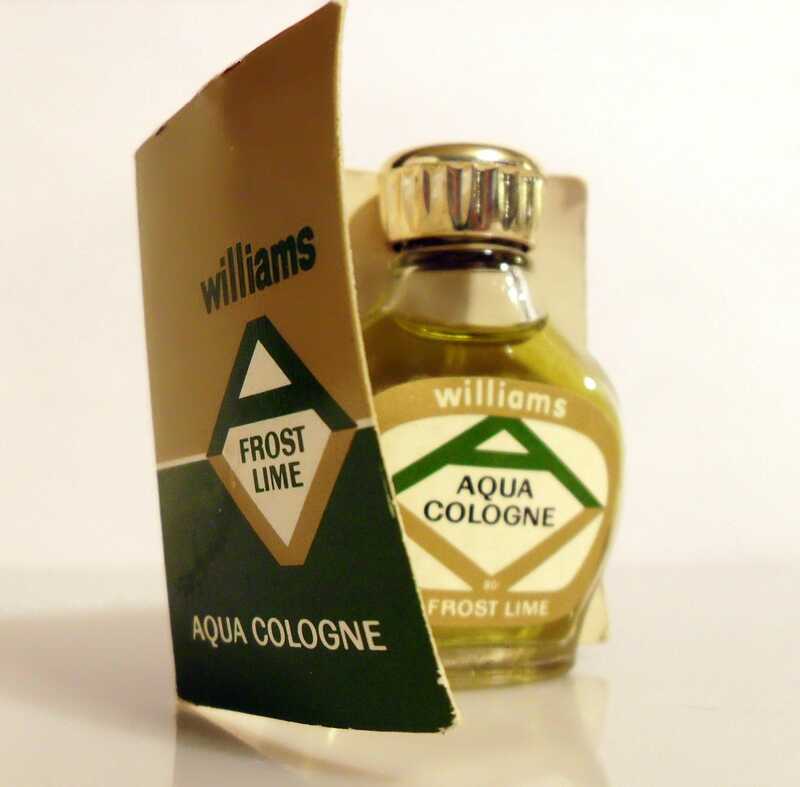 The cologne is old and no longer fresh. This is the original discontinued formula. 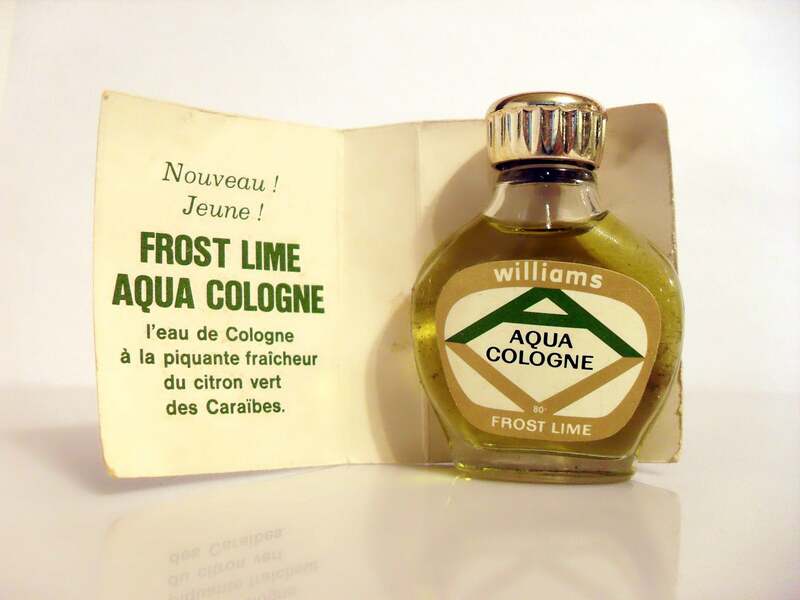 It is classified as a citrus aromatic fragrance for men and was launched in 1966. It begins with a fresh citrusy top, followed by a spicy heart, resting on a powdery base.